Hewlett Packard - 416795-001 HP/COMPAQ - INTEL XEON 5110 DUAL-CORE 1.6GHZ 4MB L2 CACHE 1066MHZ FSB 65W PROCESSOR FOR PROLIANT ML150 G3 SERVERS (416795-001). NEW BULK. IN STOCK. SHIP SAME DAY. 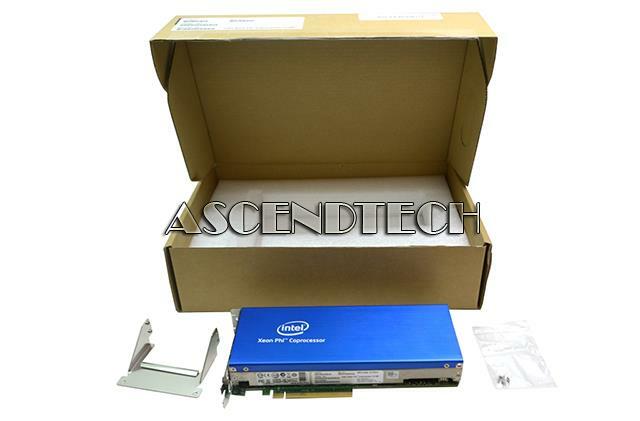 Hewlett Packard - EY012AA EY012AA HP 1.6GHz Xeon 5110 Dual Core Processor 22MB 1066-MHz Proc Kit for XW6400. New Bulk Pack. Intel - Phi 5110P C1P87A Intel Xeon Phi 5110P 1.053GHz 225W PCI Express x16 8Gb 60-Core Coprocessor C1P87A. Hewlett Packard - 708360-001 708360-001 HP Intel Xeon PHI 5110P Hexaconta 60-Core 1.053GHz 30MB L2 Cache 22NM 225W Coprocessor. New Bulk Pack.